There are few feelings that compare to laying out poolside, or with your toes in the sand, with a good book that you can’t put down. Summer reading is the perfect compliment to longer days, warm nights, and satiating your daydreams. 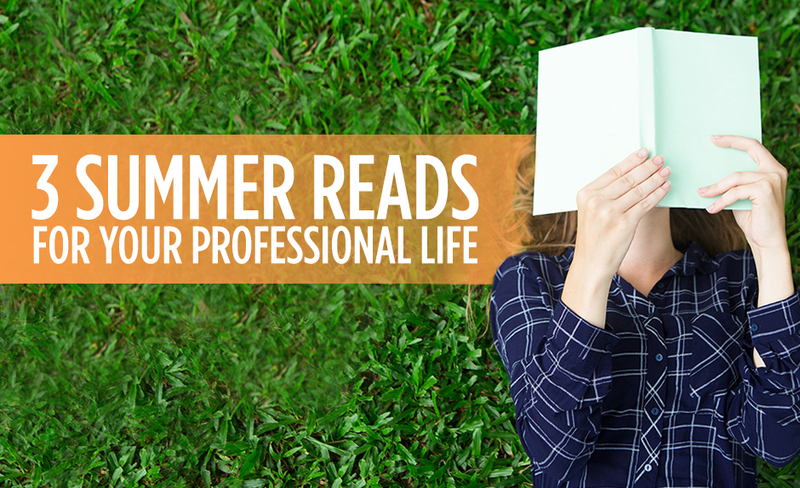 There’s no problem with sticking to your favorite genres, like sci-fi or murder mysteries, but when is the last time you picked up a book to boost your Professional Self? Work-related books may sound like homework, but there’s hundreds of options that cover everything from the psychology of work to entrepreneurship. At 29, Ohanian co-founded reddit.com. It quickly became one of the internet’s most popular websites and is considered the most democratic tool for disseminating information, ever. His story exemplifies the dorm-room entrepreneur, cultivating just a seedling of an idea with no playbook and no rules to follow. Ohanian’s humility is the cornerstone of his story and oftentimes laugh-out-loud funny. It is also the reminder that we need most and often forget, that failure is a tool on our journey to success. We’re living in an age of constant distraction and cultivating a high emotional intelligence quotient (or EQ) has never been so important. To put EQ in the context of our world today, Bariso combines scientific research with high-profile examples and personal stories. For example, Steve Jobs’ exit and return to Apple. Such case studies reveal the power of emotional influence in action and teach us how to break bad habits. Between email, social media, texting, and other digital modes of communication, it’s easy to forget there’s a human on the other line. “Chief Wellbeing Officer” aims to guide you through workplace slumps and how to rediscover your own humanity. Macgregor and Simpson offer executable strategies interwoven with personal anecdotes, experiences and travels, allowing the reader to ask the right questions rather than blindly jumping for the answer.